Kering and Ulysse Nardin have signed an agreement for the French Group to acquire 100% of the capital of Ulysse Nardin. The brand will join Kering’s "Luxury - Watches and Jewellery" division which includes brands like GIrard-Perregaux, Jean Richard, Boucheron and Pomellato. The Ulysse Nardin management team will remain in place. Founded by Ulysse Nardin in 1846 with its roots in the nautical world, the eponymous watchmaking house was taken over and re-launched in 1983 by Rolf W. Schnyder who was successful in making Ulysse Nardin one of the most innovative independent watchmakers and a profitable business. According to Mrs Chai Schnyder, Chairman of Ulysse Nardin’s Board of Directors, “Joining Kering is an opportunity for Ulysse Nardin. It will allow the brand to carry on with its international expansion and continue to innovate, while assuring the long-term future of its knowledge and expertise and the retention of its identity." The deal is subject to the consent of the competition authorities and should be finalised during the second half of 2014. To read about some of the latest Ulysse Nardin timepieces covered by Time and Watches click here. 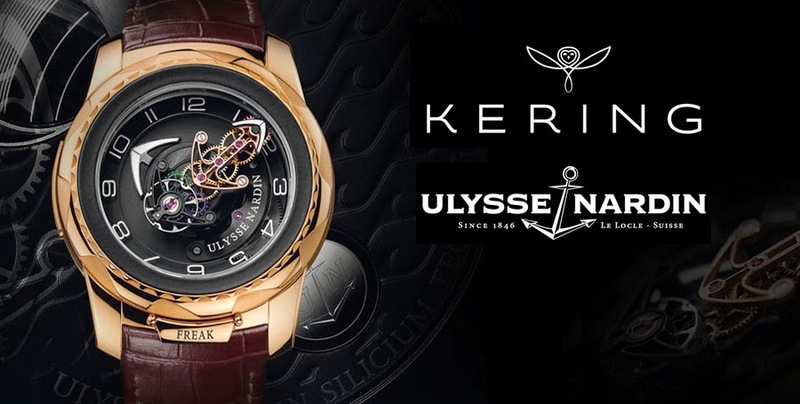 Kering and Ulysse Nardin have signed an agreement for the French Group to acquire 100% of the capital of Ulysse Nardin. The brand will join Kering’s "Luxury - Watches and Jewellery" division which includes brands like GIrard-Perregaux, Jean Richard, Boucheron and Pomellato. The Ulysse Nardin management team will remain in place.